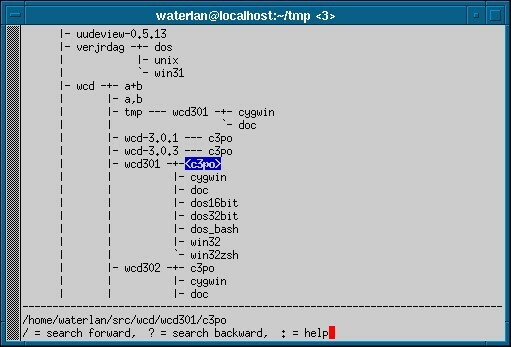 This image shows Wcd supporting UTF-8 Unicode, with double width Chinese characters and combining characters, in a Linux Xterm. 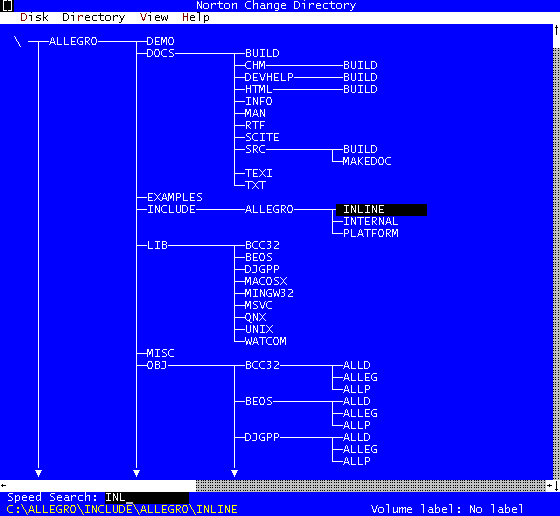 Graphical tree with locale sorting. This image shows the fast selection method in case of multiple matches. 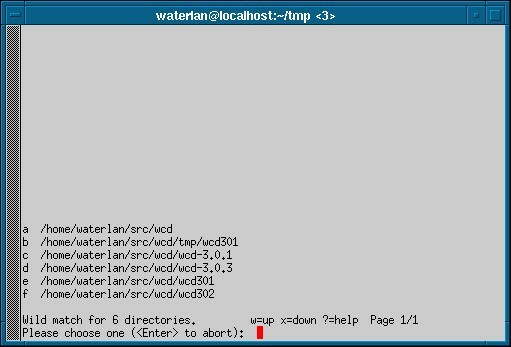 This image shows the interactive directory browser. ASCII tree. 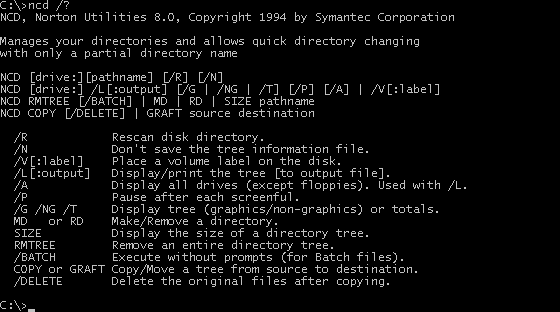 Norton Change Directory, version 8.0.25E, 1994 (last version).